Relaxshacks.com: THIS SUNDAY! 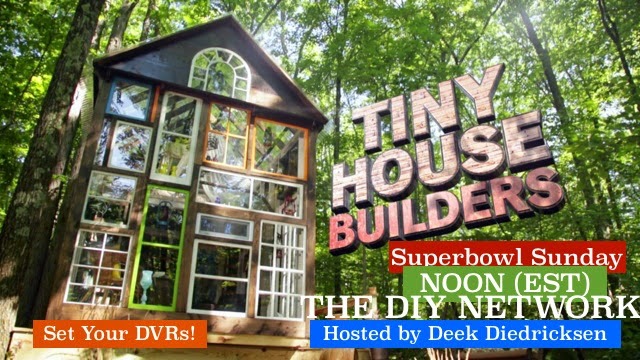 Deek Diedricksen's (DIY NETWORK) "TINY HOUSE BUILDERS"
THIS SUNDAY! Deek Diedricksen's (DIY NETWORK) "TINY HOUSE BUILDERS"
SHARE THIS POST on Facebook and tag "Relaxshacks Tiny House Hub" (and join/"like" us if you haven't), and you're entered to win...... SIMPLE AS THAT! "Tiny House Builders" is a one hour show by host/designed Derek "Deek" Diedricksen, alongside his brother Dustin, and their backwoods construction crew (Creature, Jim Shippey, Jonny "Milwaukee" Lyman, Phil Laplante, and Melissa Teper). 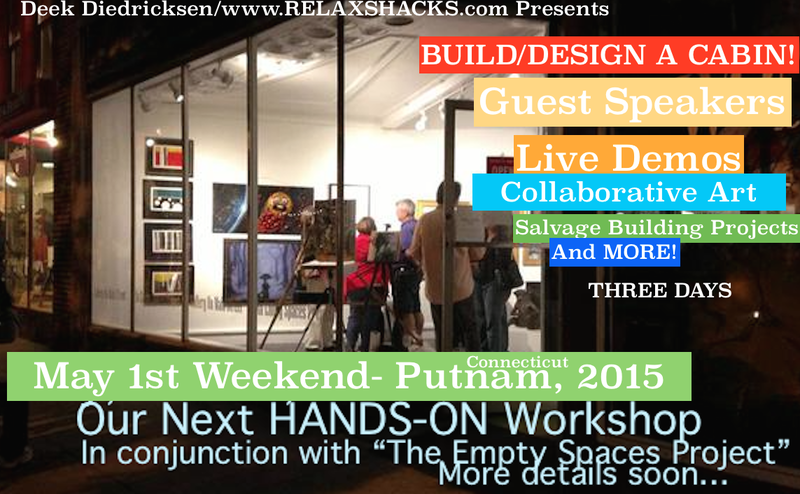 FIRST PRIZE- a slot at our 3 day HANDS-ON "Tiny House Building" workshop in Putnam, CT (see the flyer below)... we'll be collectively building and designing a tiny house/cabin INSIDE an art galleries front window in downtown Putnam, CT.
And.... May 1,2,3 in CT- HANDS-ON Tiny House Building Workshop! FOR MORE DETAILS, and to SIGN UP, CLICK HERE, or the FLYER ABOVE!